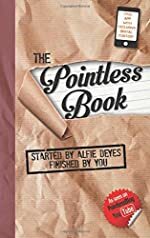 The Pointless Book by Alfie Deyes. Review: The Pointless Book brought to you by Alfie Deyes, a Vlogger on you tube, will change reading forever. The Pointless Book is not even reading, it is an activity book with fun games and puzzles. All you need is a sharpened pencil, the book, and your imagination. On the first day I got the book I had to bite a page, and again that same day I had to make an origami swan. This book was gratifying. If your mom tells you that you have to read more just pick up the Pointless Book. Everything in The Pointless Book is in a very weird format it tells you every so often to turn to certain page to make it even more Pointless. Everyone in the class wanted to see the book. You will never know what you might have to do in this book, make a die, bury the book, or make a paper airplane. I recommend this book to anyone twelve and under looking for a fun book. The Pointless Book really had me hooked, are you? The only way the fun runs out is if you finish the book! If you ever find this book at the store pick it up and buy, this is a wonderful book that anyone can enjoy. I enjoyed this book but the only thing that matters if you enjoy it too. This book I could not put down until I finished this is the book of the future. We would like to thank Running Press for providing a copy of The Pointless Book for this review. Have you read The Pointless Book? How would you rate it? Jeremy Thatcher, Dragon Hatcher by Bruce Coville. A Magic Shop Book. 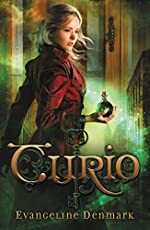 Review: Have you read any of the Magic Shop books? Because this one by far is the best. 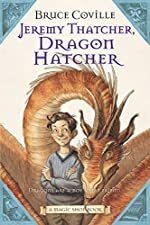 Jeremy Thatcher, Dragon Hatcher by Bruce Coville is about a boy with a pet dragon. Jeremy Thatcher, Dragon Hatcher begins with Jeremy being chased by bullies. Jeremy runs all over town and turns corner and sees the magic shop. He enters it and sees a weird glowing stone that is actually a dragon egg. he buys it and heads home through the back door. He gets a letter saying how to hatch a dragon in the mail tried it and soon he has his own dragon. Soon Jeremy gets another letter saying that the dragon has to go home. He knows he will have to part with is dragon and may never see her again. Jeremy Thatcher, Dragon Hatcher is good for all ages and should strike magic in the hearts of all children. Bruce Coville wrote an amazing series about the magic shop. This book is easy to read and full of magic and filled of imagination. Children will beg for you to read it to them every night. This book is a perfect book to read to yourself or to read to others. We would like to thank Houghton Mifflin Harcourt for providing a copy of Jeremy Thatcher, Dragon Hatcher for this review. Have you read Jeremy Thatcher, Dragon Hatcher? How would you rate it? Ninjas and Samurai by Mary Pope Osborne. A Magic Tree House Fact Tracker Book. Review written by Kyra (6th grade student). 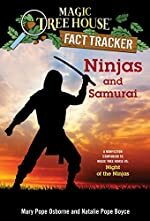 We would like to thank Random House for providing a copy of Ninjas and Samurai for this review. Have you read Ninjas and Samurai? How would you rate it? Both of Me by Jonathan Friesen. 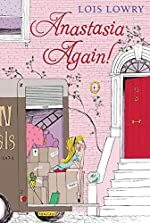 Review: Imagine: You are trying to forget about your past so you jump on a plane and you meet someone and you think it's true love. But then, when you get off your true love mistakes your bag for his bag and your bag has the most important thing in the world to you in the bag. What are you going to do? In the story Both of Me a girl named Clara gets on a plane and tries to forget her past. She brings one bag very similar to the guy sitting next to her. When she gets out of the plane she realizes that something so important to her was in her bag. But the bag she picked up wasn't hers. 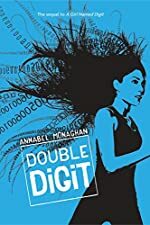 On trying to get her bag back she meets someone who knows more about her past then she does herself. Both of Me is good for people 12 and up because they will understand it better than kids. There are no pictures in the book, which makes you able to create a picture in your head. This is also why I think it should be for teens than for little kids. I think a boy and a girl could read this because it has a boy and a girl in the story. This is a great love story too. Review written by Izzy (6th grade student). We would like to thank Harper Collins for providing a copy of Both of Me for this review. 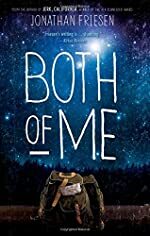 Have you read Both of Me? How would you rate it? Kuma-Kuma Chan by Kazue Takahashi. A Kuma-Kuma Book. Review: Do you sometimes just want to lay down and read a short easy book? Well then Kuma-Kuma Chan, The Little Bear is the book for you. 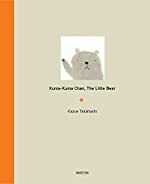 Kuma-Kuma Chan, The Little Bear is written by Kazue Takahashi. In Kuma-Kuma Chan, The Little Bear there is an inside look at Kuma-Kuma Chang's life deep in the mountains where he lives and does everyday activities like drawing in his coffee by pouring milk in it and he sweeps the rooms of his house. It also shows what activities he does in different seasons. This picture book is meant for ages 5-6 because it is a quick easy book. Even though it is meant for younger ages I still found it interesting. It also has very good drawings that will keep young children interested. Overall I recommend this book especially if you know or have a young child. We would like to thank Museyon Inc for providing a copy of Kuma-Kuma Chan for this review. Have you read Kuma-Kuma Chan? How would you rate it?